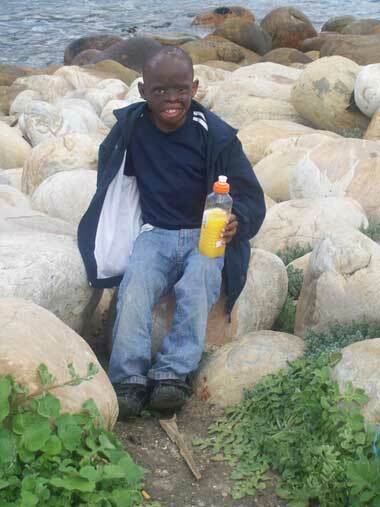 Many people have described Bongani as a "handful", "acting out" and other less-generous terms. 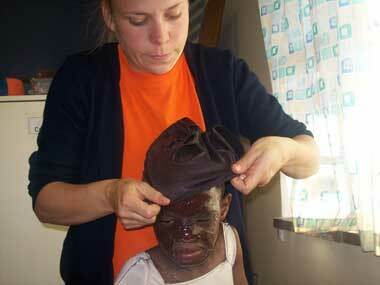 But he's a boy from a difficult background who needs a project of his own, to feel loved and valued. 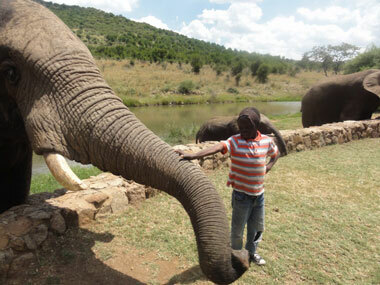 Bongani has always loved animals. 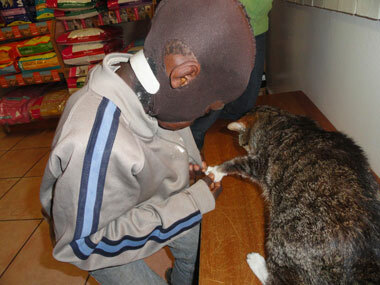 So we put our heads together with International Human Rights Exchange intern Caitlin Klein to get him an animal project. 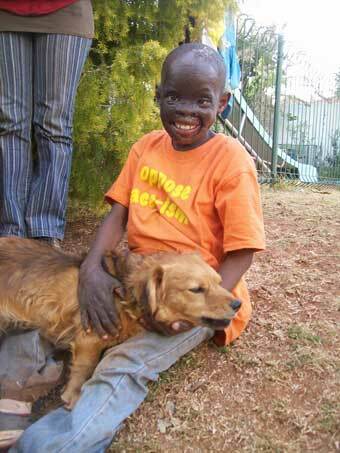 Bongani started to take the ChiFi dog Buttons for walks. And to observe the other animals in the neighbourhood. 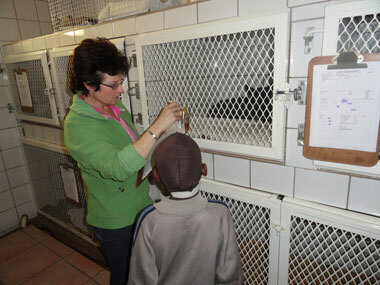 And then on 26th August 2011 he went to the veterinary surgeon in 1st Avenue, Melville on his own special outing. 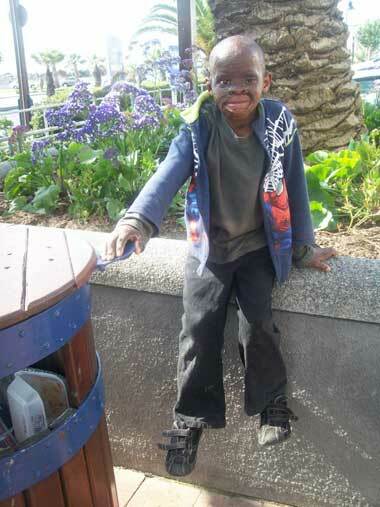 Bongani has blossomed with the attention. 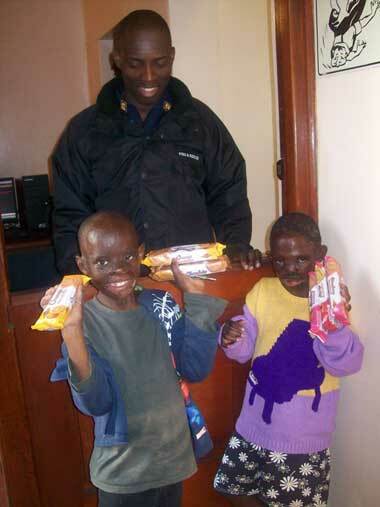 Bongani and Zanele took toys for other children in the burns ward of the Red Cross Children's Hospital in Cape Town when they arrived there in September 2010; thanks to the people who first gave them to Children of Fire. 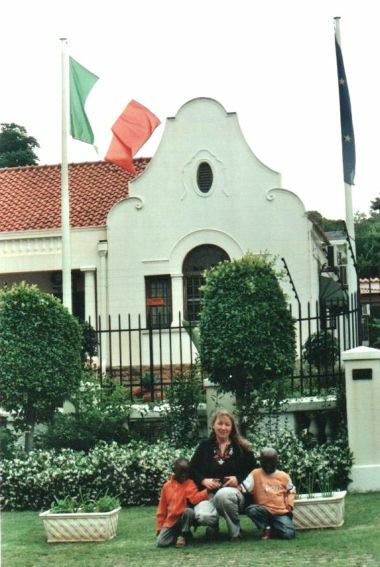 Then they stayed at Seapoint Fire Station. 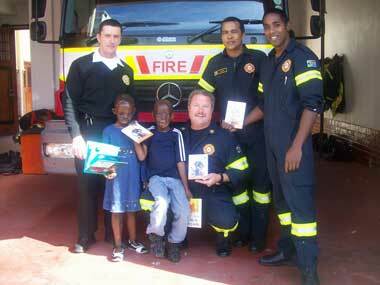 Thanks to Cape Town Fire Brigade. 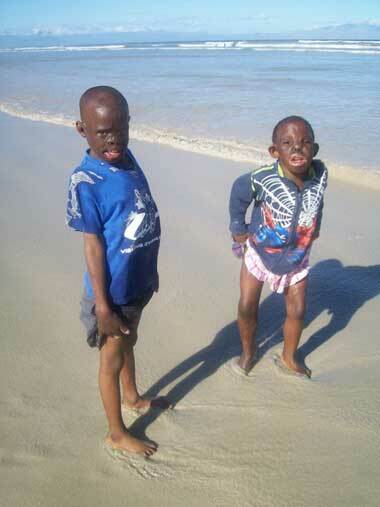 Then they explored the beach, splashing at Camps Bay and Hout Bay and meeting seals. 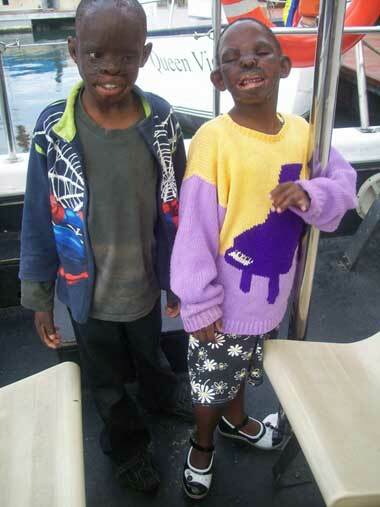 They played on boats, got biscuits from fire fighters, and handed on safety videos to try to prevent injuries to other children. 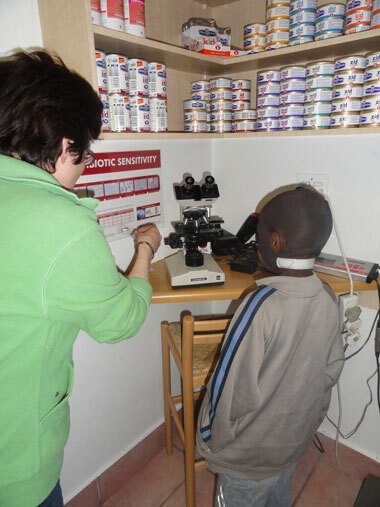 Topla (local anaesthetic) on the fingertips and hey presto, they take a blood sample with no pain at the Red Cross Children's hospital in Cape Town. 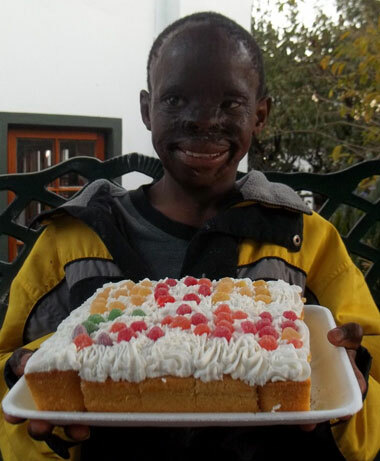 Bongani Phakati was admitted to the hospital on 5th September 2010 in the hope that they could ease his keloids (raised scars). 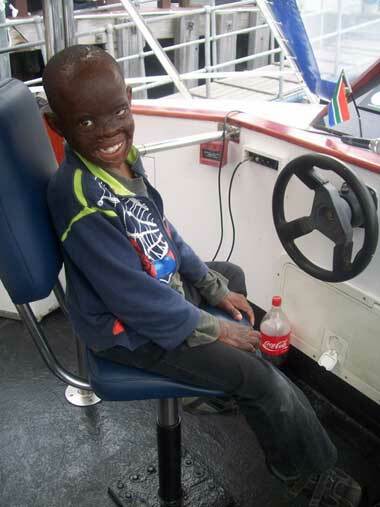 But before that, he got to see some of the sights of Cape Town with his little friend Zanele Jeza and fellow burns survivor Mitta Lebaka. 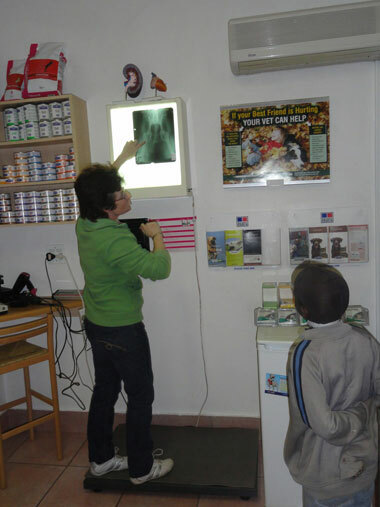 Thanks to the Bridget Scoble and the Quakers, to Ozlem, to Tracey, to Delia, the fire fighters, the nurses, the doctors, for making them feel so very welcome. 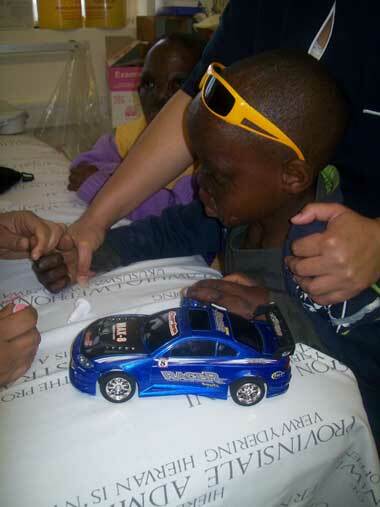 Merle, occupational therapist, helping Bongani Phakati (8) with pressure garments in late August 2010. 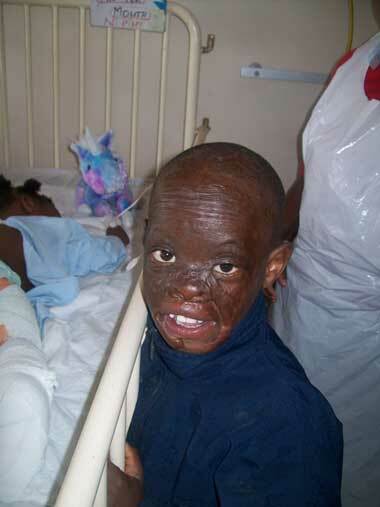 Pressure garments are tailored to each individual burned child. 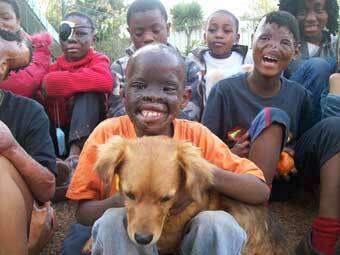 They are used to compress scars and to ease the potential restriction of movement over joints as well as to ease the disfigurement that can be associated with burns. 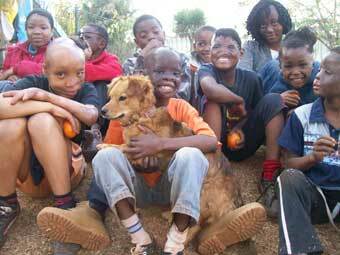 Little dogs bring out the best in Bongani Phakati. 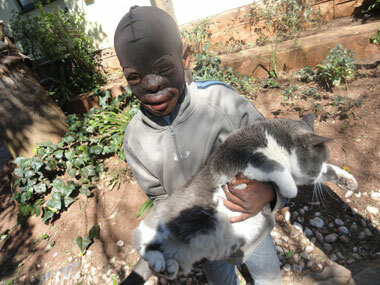 The eight year old boy seen here with little Uju on 4th August 2010 at Children of Fire, flies to Cape Town for keloid surgery in early September 2010. 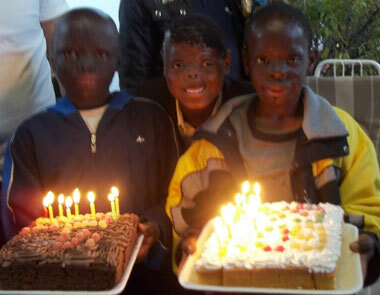 Burns survivors Bongani Phakati (7), Nelson-Ernest Tshabalala (6) and charity director Bronwen Jones went to the Italian Embassy in Pretoria, South Africa, in November 2009 to make a formal statement about the Nigerians in Italy who have been defrauding the charity with an email scam, and to open a criminal case against the rogues. 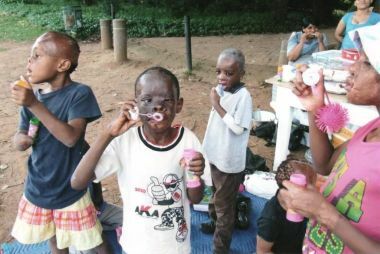 Blowing bubbles was the favourite pastime of the children in late 2009 and early 2010. 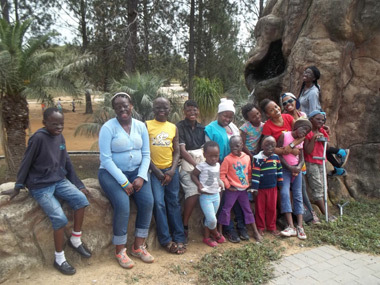 Bongani Phakathi (centre) is here at aged 7years 7 months, with his friends Michelle (missing her left hand), Mbali (in pink) and Tavonga from Zimbabwe (rear).